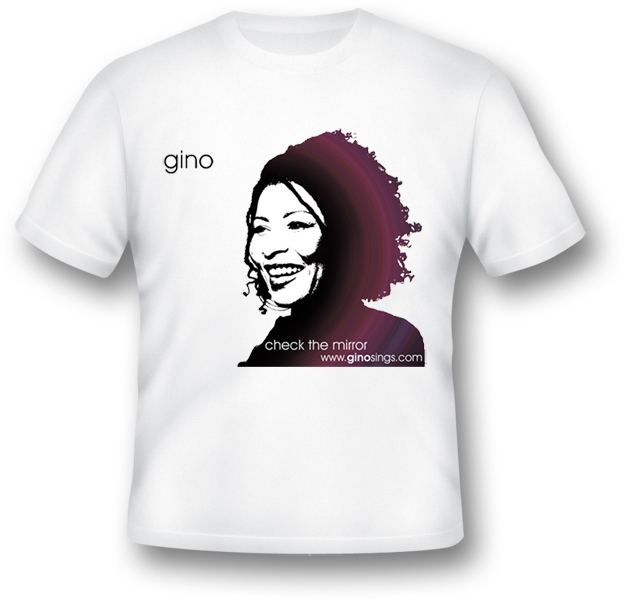 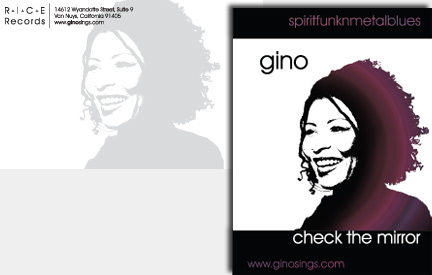 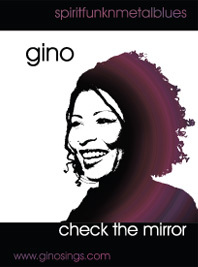 Gino is a talented singer/songwriter inspired in the musical genre she calls SpiritFunknMetalBlues. 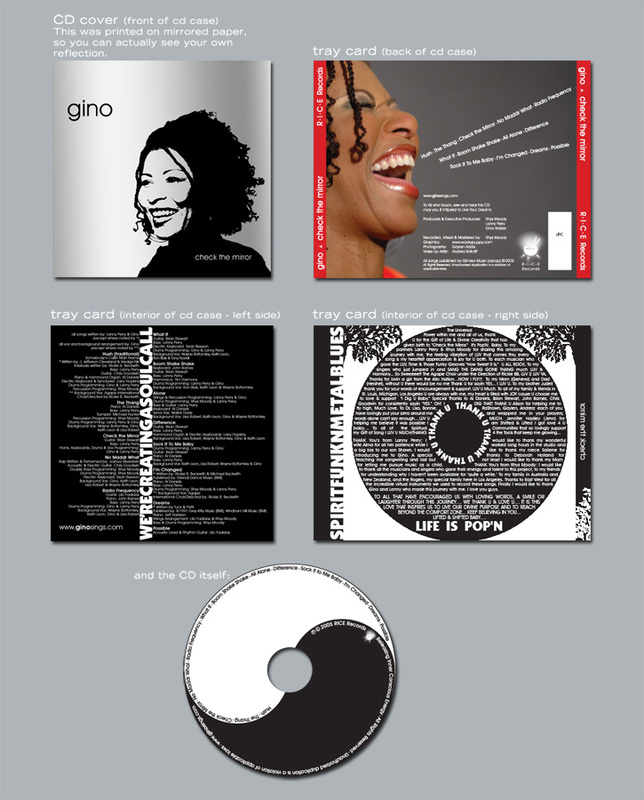 WackyPuppy designed logos, clothing, a poster, a postcard and CD packaging for her album Check the Mirror. 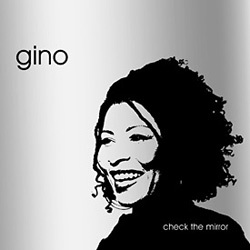 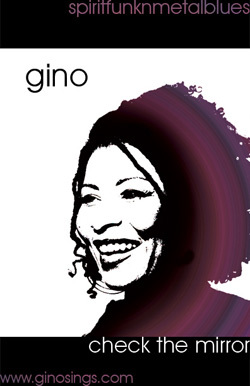 Designed the logo for Gino’s Rice Records.